STARRING Limara Meneses,	Eman Xor O�a, Mario Guerra. 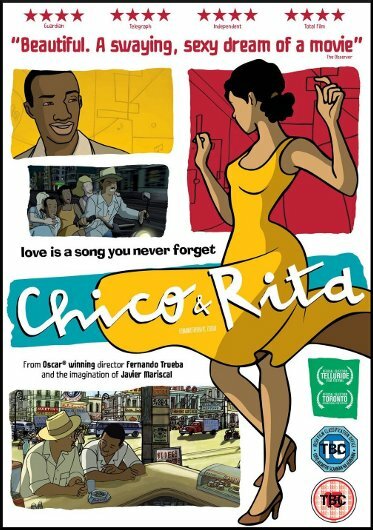 SYNOPSIS When Rita suspects Chico is seeing another woman, she dumps him and takes a chance on a move to America. There Rita begins a meteoric rise to stardom. Back home Chico is heartbroken so follows Chico to America. There he quickly falls in love with the New York burgeoning jazz and bebop scene. He composes a haunting love song which is played all over the city and which draws Rita back to him. The love between the pair reignites, but they are once again torn apart. This time by Rita's jealous manager, who turns Chico in to immigration and forces him repatriated. It's 1959, and Chico return home coincides with Castro's revolution. Travel and the old music are banned. Chico ends up shining shoes. Moving on to the present day, Chico is re-discovered and becomes a star once more. Touring America he tracks down Rita, now an old woman living on the bread line. Their eyes meet, the years fall away, but has love really survived?